“High Maintenance” stars co-creator, -writer, and -director Ben Sinclair as a Brooklyn pot dealer. If you’re thinking a show about a pot dealer in New York City has to reside in a state of chronic puns, at the corner of Cheech and Chong, somewhere in the Harold and Kumar District, you’re just dazed and confused, dude. HBO’s new series, “High Maintenance,” based on the Web series of the same name, is unlike any pot-related TV show or movie I’ve seen. It isn’t about greening out, zoning out, or munching out — although those pot-related phenomena do make cameos. And it doesn’t traffic much in madcap weed adventures, as shows such as “Broad City” and “Silicon Valley” have done (and done well). 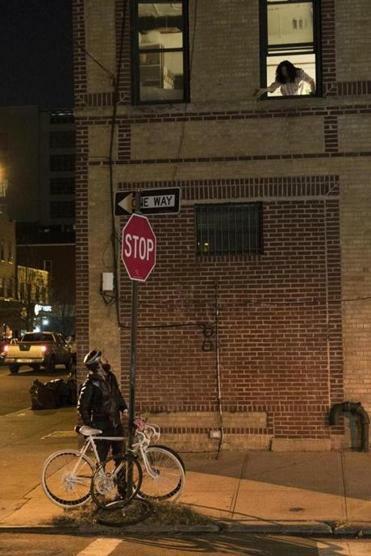 Instead, “High Maintenance,” which follows a Brooklyn dealer delivering cannabis on his bike, is a faceted little gem. It’s an evocative collection of vignettes about the dealer’s various customers, who live in the countless niches and experience the random events that define New York. Created, written, and directed by Ben Sinclair and Katja Blichfeld, the show does at times take on, as a subtext, the ways pot, and the escape, euphoria, paranoia, or focus it can engender, affects the people who use it. But mostly, the tales — there are usually two per half-hour episode — are detailed fly-on-the-wall glimpses of ordinary lives, wry and poignant snapshots of the multitudes that once inspired Walt Whitman. Yes, that’s right, I’m mentioning Whitman in a review of a pot show. And I’m also mentioning “Olive Kitteridge.” The format of “High Maintenance” made me think, oddly enough, of Elizabeth Strout’s Pulitzer Prize-winning novel. The milieus of the show and the book are quite different, but the narrative design — stories, with a connective lead character in the forefront of some, in the background of others — is similar. Sinclair’s bearded dealer, known only as “the guy,” is in all the vignettes, but often only peripherally, sometimes appearing solely to drop off a bag and leave. He gives “High Maintenance” a sense of unity, as it travels into diverse private worlds for a few resonant minutes. Unlike Olive, the guy has a mild, nonjudgmental, and at times almost blank personality, which enables his customers to project onto him in amusing ways. Sinclair and Blichfeld have done a fine job of giving each of their miniatures depth and shape, so that we instantly feel familiar with the characters. Sometimes the pieces deliver an O. Henry-like twist at the end, sometimes they track a small but critical shift in a character. In the premiere, Friday at 11 p.m., the second story gives us a man named Max (Max Jenkins) who’s feeling impatient with his role as the gay hubby of his bossy, obnoxious straight friend Lainey (Helene Yorke) . He makes a move to escape their codependency. And that’s it — but the piece is handled knowingly and concisely, with grace and, ultimately, sad irony. 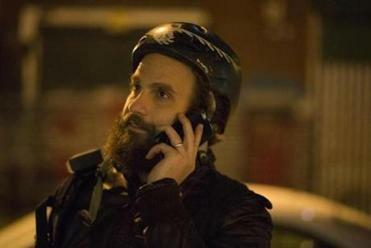 HBO’s “High Maintenance” is the latest series to make the leap from Web to cable, and it couldn’t have happened any other way. Another lovely story — the only one in the third episode — is delivered from the point of view of a dog named Gatsby, whose owner, newly arrived in Queens, is a creep, but whose daily walker (played by Yael Stone from “Orange Is the New Black”) is the love of his life. It’s charmingly told, funny, and moving. You never know who’ll show up next on this series, or what their story will be — just as in New York, you never know who’ll be coming around the corner and walking toward you. In that way, the show mimics the unpredictability and chance of its setting. Among the guest actors wandering through “High Maintenance” as New York characters (some of whom also appeared on the Web series), there’s Amy Ryan, Lee Tergesen, Hannibal Buress, and Dan Stevens from “Downton Abbey” as a cross-dressing screenwriter. Finally, I need to mention the show’s big flaw. HBO is delivering only six episodes, hardly enough to satisfy. Talk about leaving us high and dry. On: HBO, Friday at 11 p.m.